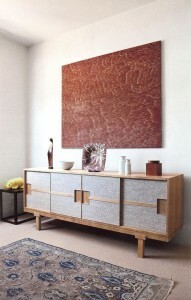 My latest love affair is with the home of the Malaysian-born Australian, Khai Liew. I’ve been a fan of Liew’s work for some time now so it was a real teat for me to see his Adelaide home. It embodies all that is good about the Australian lifestyle – laid back and casual, and is blended with a cerebral Asian influence. Its the epitome of East meets West (sorry, I know that term is so overused, but I can’t think of anything else). If you are a fan of the American designers Annabelle Selldorf or the firm Shelton Mindel then I think you’d like this place. If so, go buy yourself a copy of the latest German Architectural Digest. As you can imagine I’ve been mentally re-decorating since I saw this…. 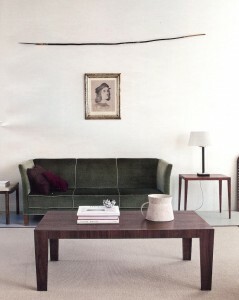 Photographed by Derek Henderson for German Architectural Digest, Nov 2010 edition.